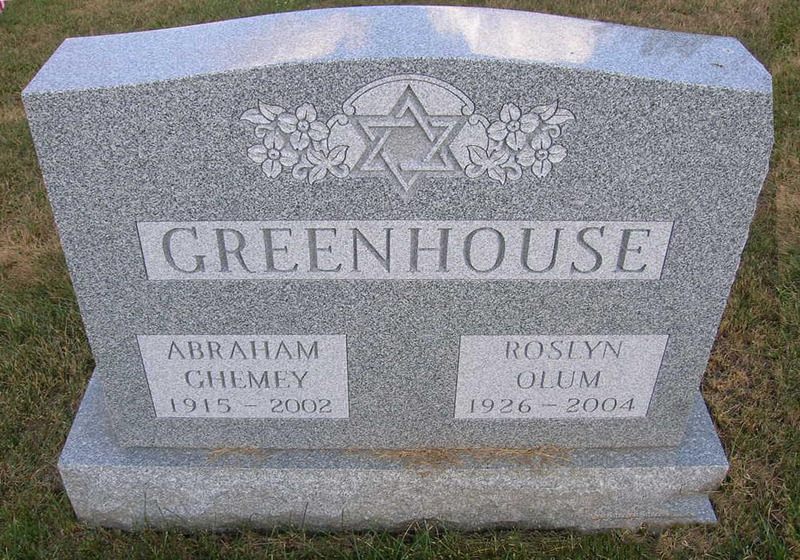 Abraham Ghemey Greenhouse , 86, of 1100 SW 130th Ave. Apt. 208, Pembroke Pines, Fla., formerly of Syracuse , died Thursday. Born in Syracuse, he graduated from Syracuse University, Chicago University Medical School and Ohio State Dental School. He retired in 1990 after 40 years as an orthodontist in private practice in Syracuse . He was a member of Temple Adath Yeshurun, Jewish War Veterans and the New York State Dental and Orthodontic Society. He was an Army veteran of World War II. Survivors: His wife of 53 years, the former Roslyn Olum; two daughters, Melanie Cohn of Glen Head and Bonnie Wolansky of Cooper City, Fla.; three sons, Brian of DeWitt, Niles of Mexico and Randey of Boca Raton, Fla.; four sisters, Ida Richelson, Merle Rubin and Sarle Gingold, all of Syracuse , and Myrna Rubenstein of Fayetteville; a brother, Larry of Fayetteville; 11 grandchildren. Services: 2 p.m. today in Temple Adath Yeshurun. Burial, Adath Yeshurun Cemetery. Calling hour, 1 to 2 p.m. today at the temple, 450 Kimber Road, DeWitt.